Figure 1-2. - Shop Repair Order, NAVFAC Form 9-11200/3A. 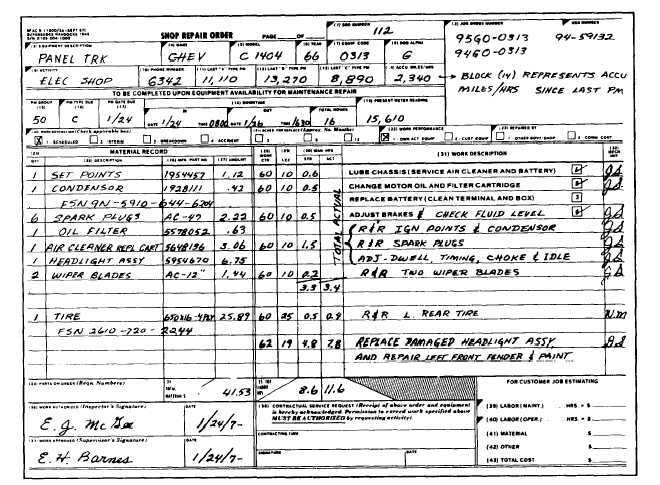 completion of this work; and directs the maintenance of PM records, shop backlog records, and vehicle history files.